Most of this dish may be assembled while your oven is already on while cooking dinner the evening before, like baking the fingerlings and scraping out the skins. Cooked sausage and shallots with the egg and cheese mixture may also be combined in advance providing the morning tasks to simply stir, stuff, and bake. 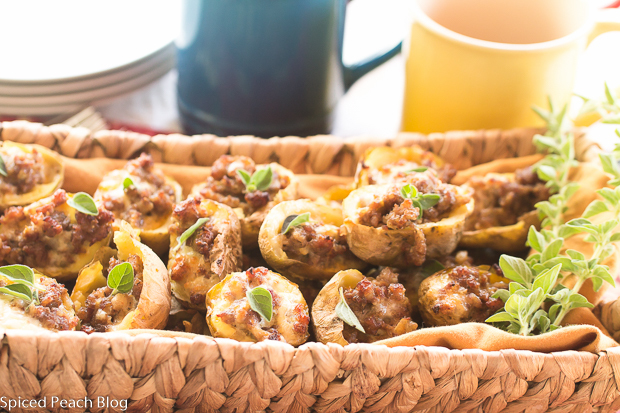 Of course, you can fill up a basket of these savory bites while enjoying special moments any time at all, but when it comes to extended gatherings for breakfast over the holiday season, Sausage, Egg & Cheese Stuffed Fingerling Potato Skins simply offers another choice in your entertaining breakfast repertoire of options. Preheat oven to 375 degrees. Prick outside of potatoes with a fork and cook on baking sheet until fork easily slides through potatoes, around 35 minutes. Remove cooked potatoes, cool, cut in half and remove potato insides reserving for another use. Potatoes may be prepared a day in advance. Cook sausage in a skillet on low heat until just cooked. Meanwhile add 2 tablespoons butter into a large nonstick pan on low heat, scrape in shallots, cook two minutes until softened. When sausage is cooked, drain the grease then stir meat into shallots, cool to room temperature. Beat the eggs with the half and half, stir through the cheese, fold in the cooled sausage mixture. Season with a pinch of nutmeg, salt and pepper. Cover and refrigerate until baking time. Spoon filling into each potato and place on a parchment lined baking sheet. Bake at 350 degrees for 30-35 minutes, more or less, until egg is cooked and potatoes are hot throughout. 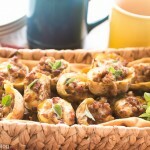 This entry was posted in Breakfast and Brunch and tagged Egg & Cheese Stuffed Fingerling Potatoes perfect for overnight guests, Sausage Egg & Cheese Stuffed Fingerling Potatoes, Sausage Egg Cheese Stuffed Finerling Potato Skins, Sausage Eggs & Cheese Stuffed Fingerling Potatoes Recipe, Stuffed Fingerling Potato Recipe. Bookmark the permalink. Post a comment or leave a trackback: Trackback URL. This sounds like something my family, parents included, would really like. I will pin this for future reference. Thanks, Peggy! What a great idea! What a nice idea! I’m going to be going with prepare ahead ideas for Christmas brunch this year, too. 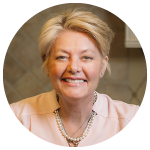 Hi Teresa, thanks so much and enjoy! Can I say … yum! Will have to look into this one! Happy New Year P.J.! Hope all is well on hoohaablog! These mashed potatoes are quite delicious. I’m also agreeing with Kelly’s Mom that mashing the spuds using a hand mixer really does make a lighter and fluffier potato! Enjoy!